Training: Someone with a State certification or licensure in substance abuse counseling meets the training experience requirement. If the training was not part of State licensure, then the SA specialist must have also received supervision specifically related to the provision of SA services from a licensed SA specialist for one year. Clinical experience: The clinical experience must have included supervision related to the provision of substance abuse services from a licensed SA provider. During the one year of clinical experience, the primary job duty of the SA specialist was to provide SA services (i.e. at least 50% of direct service time involved the provision of SA services). Performs the 5 functions defined on the OCEACT fidelity scale. 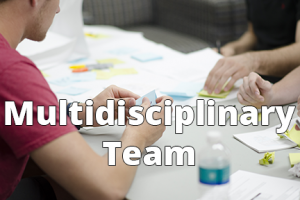 Actively participates in all ACT team meetings and takes a primary role in documenting meeting minutes, updating schedules, tracking appointments, etc. For fidelity review purposes, FTE is calculated using a 40 hour work week.